Most would agree that Harry’s is a special place. 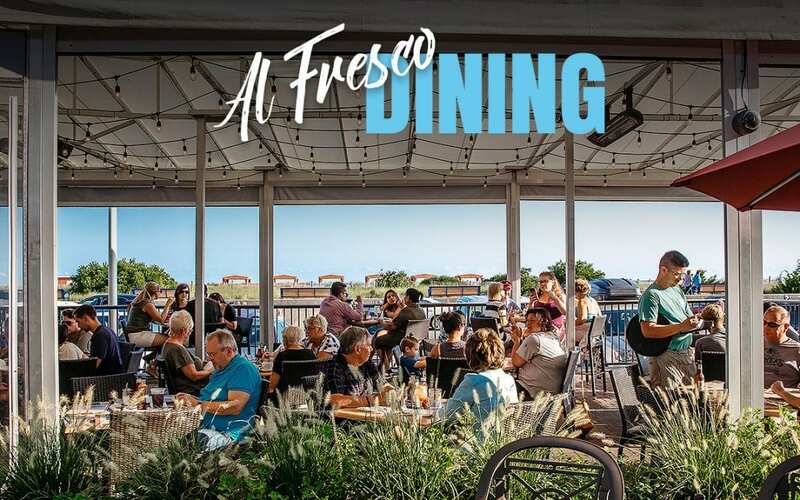 It’s the only restaurant in Cape May that features a rooftop bar with sweeping views of the Atlantic Ocean. It’s also the only place that features live music – EVERY night. But there’s something else that sets Harry’s apart – its daily specials. That’s right. Harry’s offers special discounted prices on select menu items Monday through Wednesday, every week. Interested? Mondays are, well, Mondays. That’s why Harry’s offers Microbrew & Mussels Monday. Enjoy ½ prices mussels and take $2 off all draft beer. At Harry’s, Mondays don’t stand a chance. We call Tuesdays, “Traditional Tuesdays” at Harry’s. Savor $5 New England Clam Chowder (one of our signature dishes) and $10 Fish & Chips. Plus, take $2 off all wines by the glass. Tuesdays don’t have to be boring anymore. Cheers! Crush your Wednesdays with Harry’s crush drinks. Sip an orange, strawberry, mango, grapefruit or creamsicle crush for just $5 – made fresh every time. Pair your crush with hummus & pita for $5 or wings for $6. Harry’s Ocean Bar & Grille is open seasonally for breakfast, lunch and dinner. Of course, there is always happy hour too! Enjoy great food and specialty cocktails, local beer and wine. Join us at Harry’s for outdoor live music, great cocktails and food, and unparalleled views of the Atlantic from Cape May’s only rooftop oceanside bar.